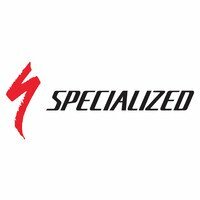 This is the Specialized Crossroads Tyre upgraded with Specialized's most advanced Armadillo puncture protection. With the Crossroads Armadillo tyre, Specialized redesigned their popular Crossroads tread, making it the best, most robust multi-terrain tyre out there. Whether on your mountain bike or town bike, this tyre is ready for the rigors of everyday street life. And with maximum flat protection from Armadillo technology, plus a rugged casing and smooth-rolling tread, you'll get around town easily without worrying about flats or traction on parkways and cobbles. The tyre's smooth rolling centre tread and its knobbly tread shoulders make it the perfect urban all-rounder tyre whether the roads you ride are smooth, dirt or gravel. The tyre's side knobs offer traction when you take a dirt road detour. Armadillo 'bead to bead' protection - the tyre's entire casing is armoured against penetration (not just the sub tread as is the case with the Flak Jacket-reinforced standard Specialized Crossroads). 730g (27.5x1.9) - checked at bike co-op HQ in January 2016.